AVN disseminates a low-carbon, energy-efficient building alternative in Burkina Faso, the Nubian Vault (NV). Its innovative market-based program is designed to address housing issues while creating additional income opportunities for rural smallholder households and enhance local economic development. A market is an optimal driver for large-scale dissemination and the appropriation of this innovation by all local stakeholders: civil society, private sector actors, public authorities and financial institutions. Using only raw earth, a locally available material, the NV technique allows the construction of sturdy, weather-resistant, low-carbon and energy-efficient buildings, embedded in local economies and traditions, for wide-scale access to decent and long-lasting homes, wellbeing and social empowerment of present and future generations. A Market – Political support and financial tools for the integration of the NV concept into development policies and wide-scale access to the appropriate housing market. Nubian Vaults are sustainable and low-carbon buildings; they represent a real solution for climate change mitigation and adaptation of the housing sector in Burkina Faso. The main building materials are sun-dried mud bricks, made from locally available earth, and the NV does not require iron roofing sheets, most commonly used in Burkina despite their heavy carbon footprint for production and transport. It also uses neither wood nor straw, at risk with the accelerated deforestation. The thermal passivity of the finished Nubian Vault is exemplary, providing better living conditions in increasingly difficult climates, without air-conditioning. For a 25m2 building and over a 30-year life cycle, emission gains are 20.5 tons of CO2 equivalent, compared to a similar building of cement/concrete (3.4t. during construction,17.1t. for the building’s use). The Nubian Vault furthermore advantageously replaces metal roofing sheets, for better living conditions with positive environmental impact. 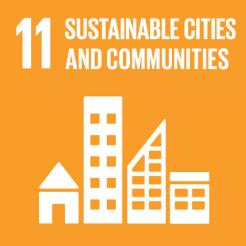 Jobs and livelihoods: the Better Building Initiative is geared to enable the emergence, growth, and development of a local workforce skilled in climate-appropriate and environmentally sustainable building techniques, in order to bring transformational change directly from within the communities. Burkinabe smallholder farmers become, during the dry season or throughout the year, qualified masons building green homes for themselves, their communities, and the villages and towns around them. A trade develops around the Nubian Vault technique (350 qualified professionals today), generating social, economic and environmental impacts in local circuits, and all this with only local means, corresponding to contextual realities. 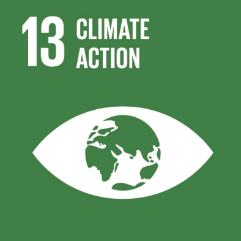 Climate action: the Better Building program has direct impacts both for climate change mitigation & adaptation, it contributes, through awareness-raising, stakeholder mobilization and skills transmission, to transforming practices in the construction sector. The action began in Boromo in 2000, and was at first concentrated in that town’s region, in order to set up the methodologies, train first employees and verify the suitability of the proposition in regard to social and environmental contexts. Since then, the success of the programme and similarity of needs have justified scaling it to 5 regions, replicating the market initiation then densification strategies to new localities. AVN’s teams are now active in Boromo, Sabou, Dédougou, Yako, Bama and Koubri. Scale is also being achieved at the national level, growing from a pilot village strategy to a national approach, in particular for institutionalization of the concept, i.e. its appropriation by public authorities and its inclusion into policy and development plans. The Nubian Vault is today represented by the Government itself as a solution for sustainable development in the country, notably included in the Nationally Determined Contributions, Burkina’s commitments to climate action. Begun in Burkina Faso in 2000, the work of the Nubian Vault Association has since then been spread to four other countries of the West African sub-continent: Mali (2007), Senegal (2010), Benin and Ghana (2014), all with a similar, and critical, need for sustainable building and housing solutions. The Nubian Vault method is appropriate for these countries both in regard to technical aspects and socio-cultural ones. The disappearance of timber wood and the similar inadequacy of metal roofing sheets have created the same need for green and adapted building methods. Although there are variations in average income, the need for affordable methods is also a key commonality. These countries also present social or economic variations, which has enabled AVN to adjust its program to a wider scope of targets and methods, for increased dissemination, including in Burkina Faso. Capitalizing upon these different experiences has enabled AVN to set up adjusted methodologies and tools for action.